I was wondering what I could do for the underbody cowl. I'd like to get a full enclosed one. Any ideas? Thanks. And heres some pics. I have no suggestions for a cowl. Just saying your bike looks AWESOME! I have a Pyramid on mine and like it alot.. but bought cheap as it needed work. Are those the Ebay chinese plastics? If so, what was the shipped cost? how was the fit and finish? Any damage from the shipment? Looks good,,, any plans to paint the tank to match the concept? +1 I don't have one, but I like the pyramid too, better looking then the shakskinz or other. I have the Targa formula II and love it. Install is straight forward and the fit is great. I can't speak to finish because I bought the untainted one but the quality is top notch. Yes they are the chinese ones. It was like $250.00 for the parts and $250.00 for shipping. Everything lined up pretty well. I had to drill open a few holes because of paint. I'm not really good at stuff like this, so if you have experience it should be no problem at all. 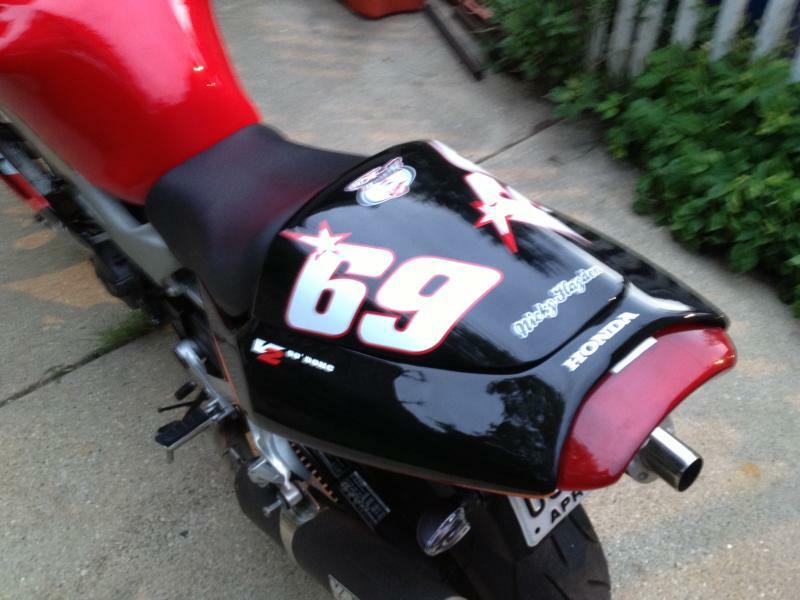 I bought the Nicky Hayden Sticker Kit separately from his 2006 Moto Gp Championship year. The tank is going to be next. I was itching to ride so as soon as the weather gets cold I'll get it painted. I think the rims too. Heres a few pics of mine. Miller, where in Wisconsin are you located? Ps. 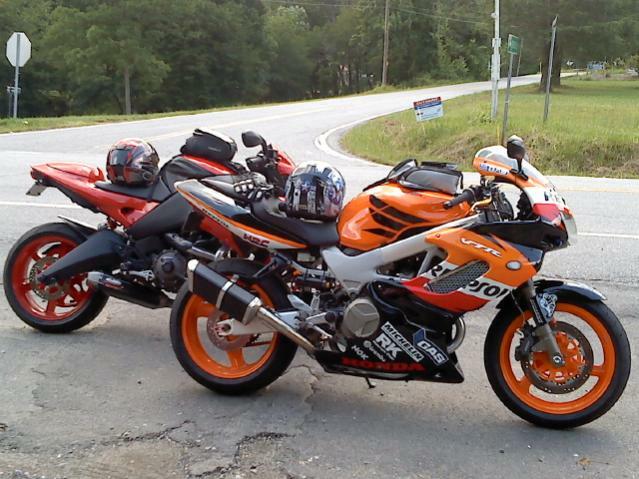 love the repsol look.. have you thought about painting the rims orange!! Thats one of the reason I like the SH.. it's a blank canvas to work with and many options to choose from. I dislike the looks of that design,,,,for the same reason some like it... But who cares what I like.. what does the OP like? Nailed it!! that's repsol!! Very sweet!! 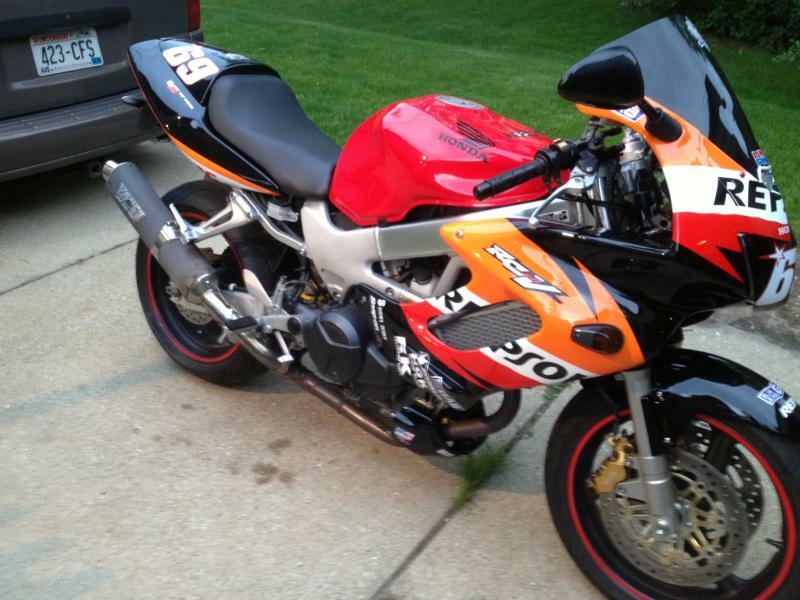 Dying to know what you think of the Buell if you've ridden it (sorry not sure if it's yours or a friends or what). I'm in the Racine area CruxGNZ. Sweet looking SH Munk! What bottom cowl is that from? But really... you think the solid red tank, in a different shade of red than the bits of red on the plastics flows? meshes? looks as part of the design scheme? I suppose in an abstract art sort of way........................err, no, never mind still looks wrong to me.. But hey....it ain't my bike. In gay decoraters voice "the reds go together" lol! 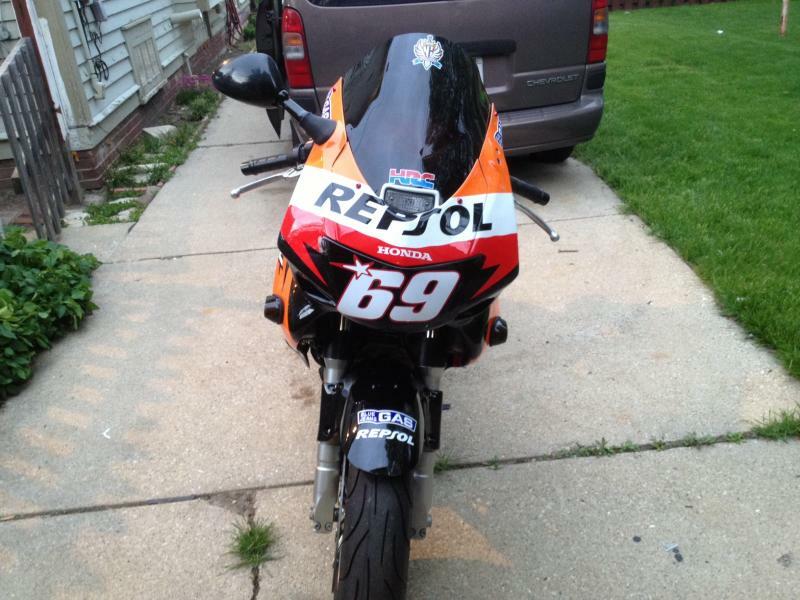 Hes probably gonna want that repsol correct. 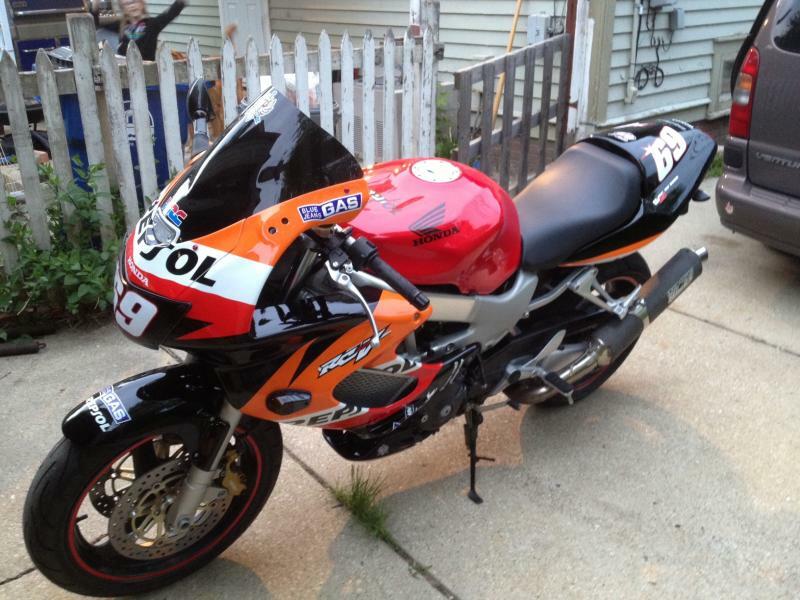 Not the worse to spend $500 on a VTR that's for sure! 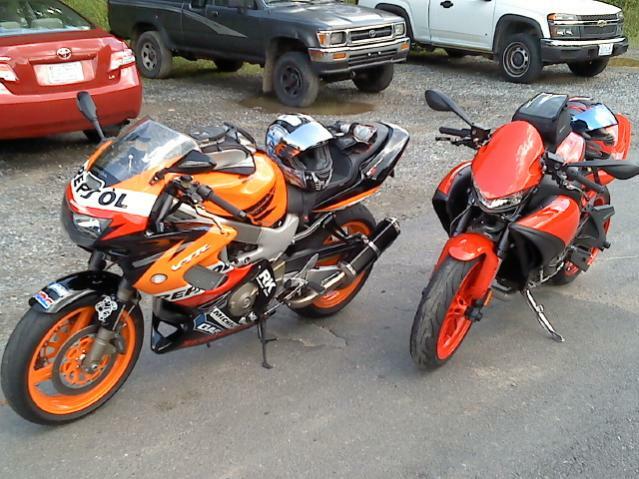 Thats my friends Buell, its a blast to ride! 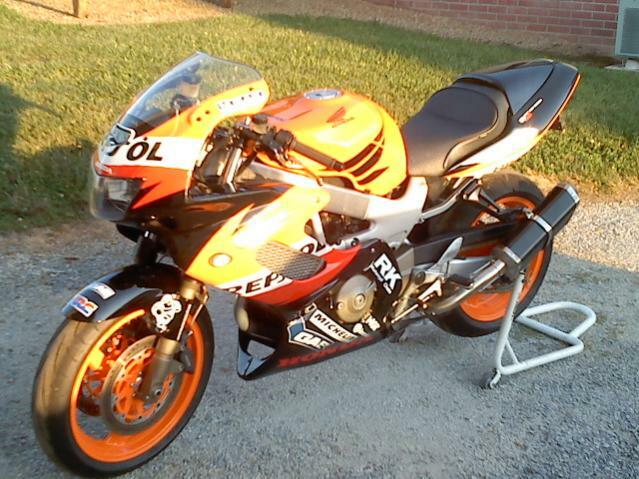 I ordered the lower fairing from The Superbike Store on Ebay (can't recall the brand name). Good quality plastic, very pleased with it.